Railway Budget 2014-15 emphasizes on boosting investments, capacity utilization, cleanliness, safety and provision of better amenities for the passengers. It is a progressive budget which promises to launch network of high speed trains in the country. 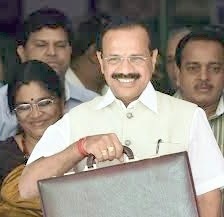 The Budget has given priority to raise surplus funds for the Railways through improving infrastructure by public private partnerships (PPPs), mobilizing foreign direct investment flows, allocating substantial outlay for safety and bringing transparency in execution of projects. Some remarkable initiatives have been introduced keeping different sections of society into consideration. · Dedicated Freight Corridors on the Eastern and Western Routes – leading to strategically critical capacity augmentation. · In 2013-14, 1532 km of New Lines, Doubling and Gauge Conversion commissioned. · Production commenced at the new factories – Rail Wheel Plant, Chhapra ; Rail Coach Factory, Rae Bareli ; and Diesel Component Factory, Dankuni. · No unmanned Level Crossing. A total of 5,400 unmanned level crossings eleiminated – 2,310 by manning it and 3,090 by closure / merger / construction of ROBs or RUBs. · Improved audio – visual warning to road users in advance of approaching trains. Several Public Private Partnerships (PPP) projects are in the pipeline. FDI being enabled to foster creation of world-class rail infrastructure. Rail Land Development Authority raised Rs 937 crore so far. II. Business Development Study by SNCF for Mumbai – Ahmedabad corridor. · Railway Energy Management Company becomes functional. Windmill and solar power plants to be set up with 40% subsidy from Ministry of New & Renewable Energy. · 200 Stations, rooftops of 26 buildings and 2,000 level crossing gates to be covered. 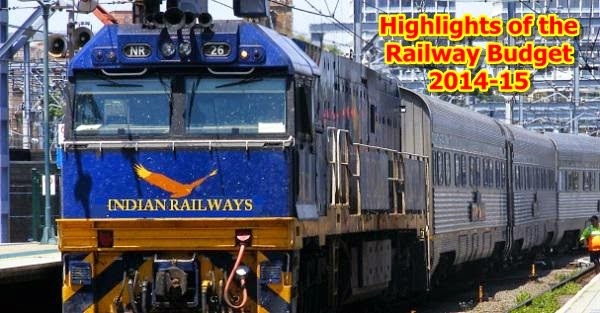 · Railways bagged 22 out of 112 awards given by the Government. · Coverage of Bio-toilets in 2,500 coaches and would be increased progressively. 51 Jan-Ahaar outlets for Janta Meals ; 48 passenger escalators commisionsed at stations and 61 more being installed ; air-conditioned EMU services in Mumbai from July 2014 ; information display system in important trains to indicate stations & arrival time. ‘Upgradation’ scheme extended to AC Chair Car and Executive Chair car passengers. Parcel Terminals & Special Parcel Trains with scheduled timings. New policy on parcels to encourage transportation of milk. Third party warehousing in Special Parcel Terminals envisaged. Fund Balances likely to be Rs 12,728 crore.